What does Holy Chaos mean to you? 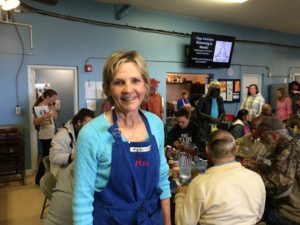 Here’s what Amy, co-founder of the Downtown Welcome Table, has to say: When I think of holy chaos I think of this room being full of people, all kinds of people, everyone coming in with different needs, and it’s just amazing that you can bring food to someone and say I’m so glad you’re here, can I serve you? It changes people.